The hotel is stuated among the pine forests of the Rhodope Mountains, near the ski Center Studenets and directly on the ski slope №7 in the Pamporovo Resort. Kamelia **** complex offers all-year-round brilliant conditions for a family ski vacation or cool summer relaxation in the heart of the mountain. Ski in & ski out hotel with its own ski depot and school - this is the favorite place for lovers of winter sports and snow adventures, but also for fans of active summer vacation surrounded by nothing but scenic beauty and endless greenery. At Hotel Kamelia we offer many opportunities for lovers of delicious cuisine. From unique charcoal-cooked meals to delicious meals in the restaurant and quality drinks in the lobby bar, we guarantee real gastronomic pleasures. 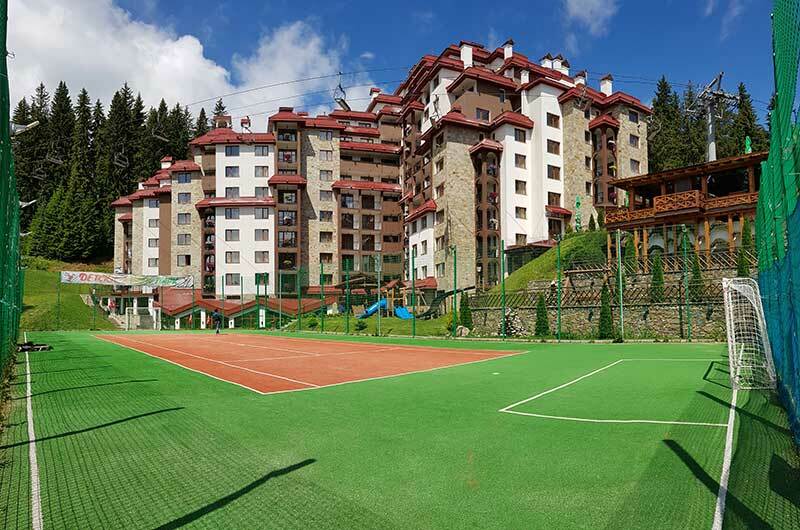 Hotel Kamelia Pamporovo offers its guests excellent conditions for sports. The 20/40 meter multipurpose playground is used for mini-football, volleyball, tennis and winter fun. 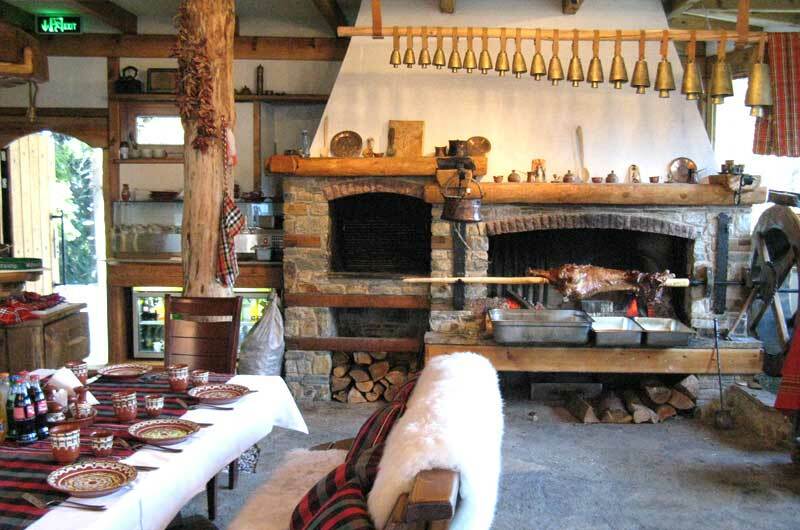 Hotel Kamelia Pamporovo can certainly be the place of your business. 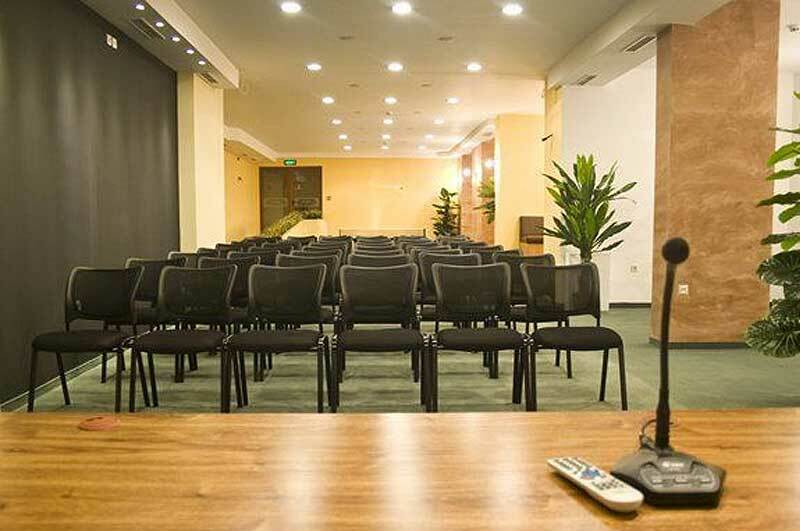 In addition to the cozy and spacious Lobby Bar with classical furnishings for your business meetings, you can take advantage of a 100-seat conference room , a modern restaurant offering special halls. There is hardly another hotel to offer such a combination of holiday and sport conditions with business conditions. 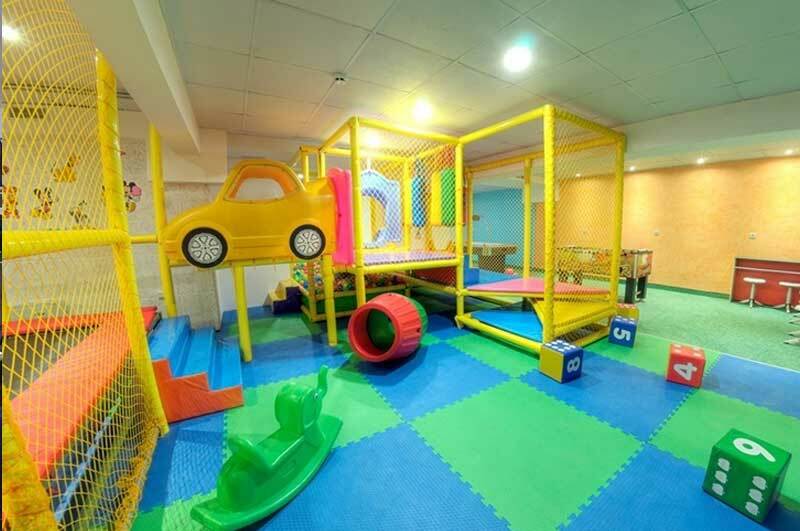 Hotel Kamelia Pamporovo is perfectly designed to provide maximum comfort to families with children. The hotel apartments have a kitchenette and furniture, a dining room, a master bedroom and a sofa bed. Children who love games are also not forgotten. There is a specially equipped games room and a variety of entertainment. The ski center of Hotel Kamelia is situated on the ski slope leading from Studenec hut to the bus station in Pamporovo. 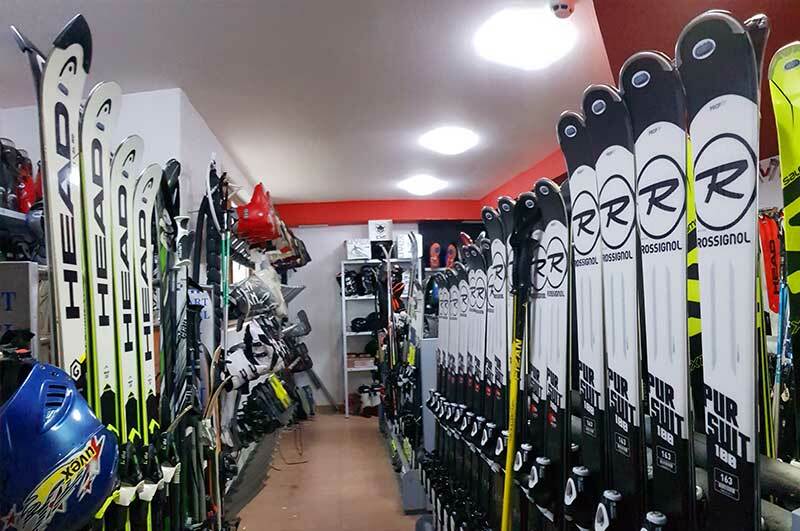 The ski center has modern equipment, and the hotel itself has its own ski slope where ski instructors conduct their classes with beginners skiers, snowboarders and kids. Hotel Kamelia Pamporovo offers relaxation and comfort in a cozy Relax Center equipped with everything you need for a shuttle after the long snow days. 4-seater Jacuzzi can be your place for enjoyable conversations with friends and relaxing massages of thousands of air bubble strings. 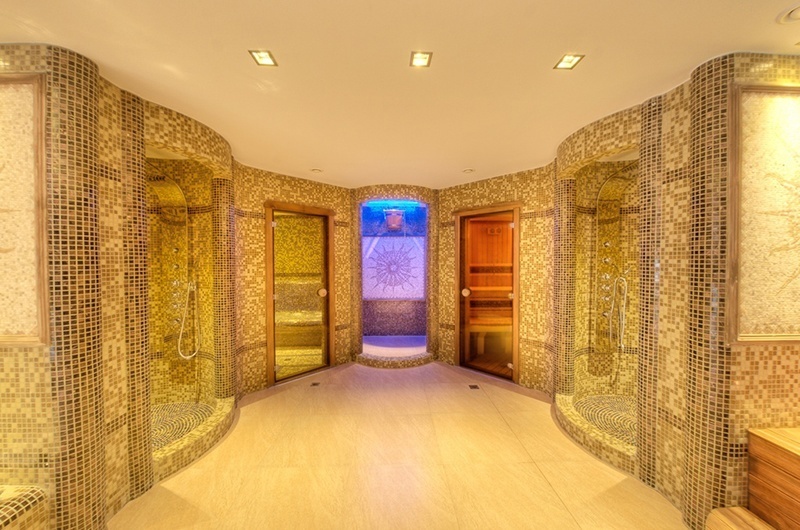 In the immediate vicinity of the spa is a modernly equipped gym.